Roscoe Claude Bottoms Jr. departed this life on February 9, 2019. He was the husband of Marsha Ann Bottoms with whom he shared 45 years of marriage and partnership. Roscoe was born April 12, 1952 in Versailles KY to the late Roscoe Claude Bottoms Sr. and Margaret Emma Bottoms. He graduated from Woodford Co. High School as an All American Football Player and attended trade school in Paducah, KY for carpentry. Roscoe was no stranger to hard work, formerly employed by Kuhlman Electric, Osram Sylvania and retired from Montaplast North America. Roscoe laughed and loved with his whole heart, and was often the life of the party. As a sports enthusiast, Roscoe had a special love for the UK Wildcats. He was an accomplished Chess, Bid Whist and Spades champion, often on the winning team at any family reunion or gathering. Roscoe was an awesome cook who specialized in BBQ and Collard Greens. As a resident of Winburn Estates for 36 years, Roscoe was well known and loved in his community. 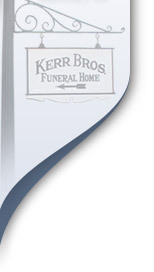 Arrangements and service by Kerr Bros Funeral Home - 3421 Harrodsburg Rd. Lexington, KY. 40513. Visitation on Saturday, February 16, 2019 at 10:30am with Funeral Services following at 12:30pm.